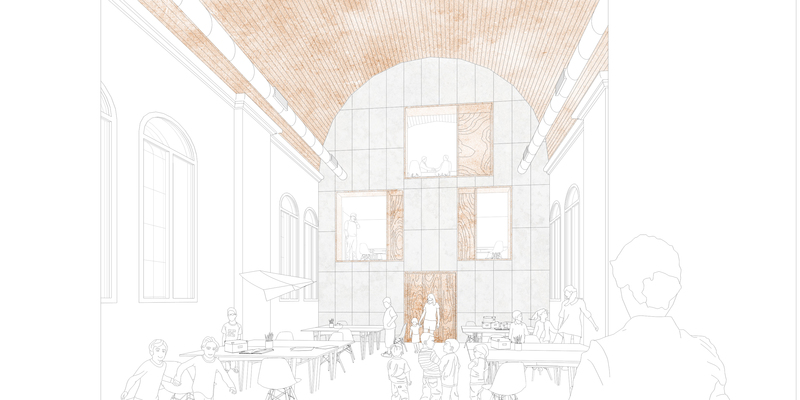 This project launched by the municipality of Etterbeek, is based on preserving the existing building for its characteritics. The double height central space as well as the heart of the chapel are being kept "as found". The remaining parts of the program are located in a new vertical space in oder to provide unexecpected views and connections inside the building. The facades are perserved in an humble way as they existed before. This proposal won the second place of the competition.